GIVEAWAY INFO. LOCATED AT THE BOTTOM OF THE PAGE. Founded in 2006, Krystal Savanella Designs is an online retailer of fabulous couture clothing. In late 2009, they began working on branding themselves on couture gowns and dresses, including cocktail, wedding, evening wear and red carpet wear. Krystal Savanella Designs use natural fabrics as often as possible. They also use only top quality laces & trims. They believe in quality over quanity, only using the finest trims, embellishments & fabrics available. All products are USA made as well. and, if only in a small part, Krystal Savanella Designs can help." I was fortunate enough to review one of the 19" x 56" scarves in a cute leopard print. The scarf is so delicate & soft. The fabric is non-wrinkly and oh-so silky. The Leopard Print Head Scarf can be worn many different ways: as a head scarf, neck scarf, or belt. Tie it to your purse for a pop of color. Be creative! Want a chance to win it? Details are at the bottom of the page! Krystal Savanella went to college at the Fashion Institute of Design and Merchandise studying fashion and business. Prior to college, Krystal worked as free-lance costume designer and quickly became known for her passion and style. This drew attention to her fashion designs and created a demand for Ms. Savanella’s custom pieces. As her style developed, she began to hone her couture skills and quality. Krystal Savanella Designs, LLC. is a company to watch! With over 13 years of experience, you know the finished product will be one that you will love. Krystal has designed gowns for Alicia Silverstone and Deal Or No Deal model Hailey Marie Norman. She's also been featured in LA Fashion Week shows since 2004. Krystal Savanella Designs specializes in couture gowns and dresses ang high end womenswear. While Krystal has designed lingerie, childrens wear, etc., they Krystal Savanella brand is a womenswear line. Connect With Krystal Savanella Designs, LLC. We are giving away the Leopard Print Head Scarf as part of the Christmas Letdown Giveaway Event which runs from December 26-30! Just fill out the simple Rafflecopter form below to enter to win! Use code "1BEAUTY20" to get your first purchase from BeautyMint for just $19.99. 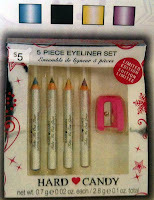 Delia*s end of the year clearance just added new items starting at just $1.99! The Old Navy Post-Holiday sale is in full swing! Take up to 50% off online and 75% off in store! Check out the Buy One Get One Free sale at Forever 21! Take 10% off your order with code "SNOWDAY" at Urban Outfitters. Knock 50% off your Hollister order with code "35455". Dale & Thomas Popcorn is the BEST! I'm completely smitten with Dale & Thomas Popcorn. They make the most fresh tasting, delicious, insanely good popcorn that you will ever try! 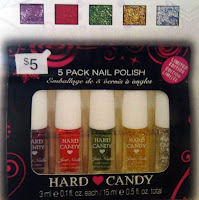 Those wonderful people sent me the Sparkling Snowflake Six-Bag Sampler Box to try --- and it was incredible! Dale & Thomas Popcorn will never disappoint. The flavors are unbeatable, highly addictive and the bags contain little to no seeds! Perfect popcorn every time! Try traditional flavors like butter, caramel, cheddar or chocolate drizzled --- or get crazy with flavors like bacon ranch, wasabi or summertime BBQ. They've got all these flavors...and more! Our elegant Sparkling Snowflake design adorns one of our best selling gifts! Share some of our most popular flavors with your friends, family, colleagues, and clients by sending them six bags of our popcorn fresh from the kitchen. Each bag of our terrific popcorn is one foot long and serves 2-3 people. Retails for $29.99. 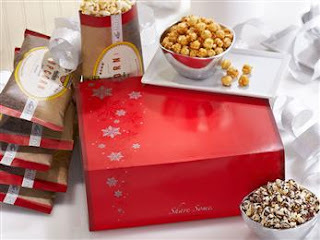 *Dale & Thomas Popcorn sent the Sparkling Snowflake Sampler Box in exchange for an honest review. No monetary compensation was given and all opinions are my own. Thank you, Dale & Thomas Popcorn! GlassesUSA - for all your eyeglass needs! It's a fairly common thing nowadays for people to wear contacts or glasses. A new pair of glasses can be quite expensive if you don't know where to shop. But....did you know that you can buy a great pair of eyeglasses without breaking the bank? It's easy - just go to GlassesUSA! GlassesUSA specializes in affordable, yet chic, eyeglasses for men and women. With thousands of styles to choose from, you're sure to find the perfect pair of glasses! I have to have prescription eyeglasses to be able to accurately see, but GlassesUSA fixed me right up. Pick your glasses style or shape, then select your lenses. Next, you can add tint or protective coating if you like. Finally, just add your prescription and you're done. It's so simple! Your order will even come with a free eyeglass case and cleaning cloth! One website feature that I really enjoyed was the "Virtual Mirror". Simply upload a photo of your face, use your webcam to take a photo, or pick a stock photo that resembles your face shape. From there you can vitrually 'try-on' glasses to get a feel of what they will actually look like on your face. GlassesUSA.com offers such great high quality frames and lenses that the 100% satisfaction guarantee is just an added bonus. There's more: Join GlassesUSA for their Post Holiday Sale! Take 50% any pair of prescription eyeglasses from their entire collection with code "WINTER50" or 10% off any order of prescription glasses with code "BLOG10". Get FREE SHIPPING on all US orders with code "FREESHIP10". What amazing deals! *Glasses USA compensated me $10 for this post. All opinions are my own and I received no product for this review. 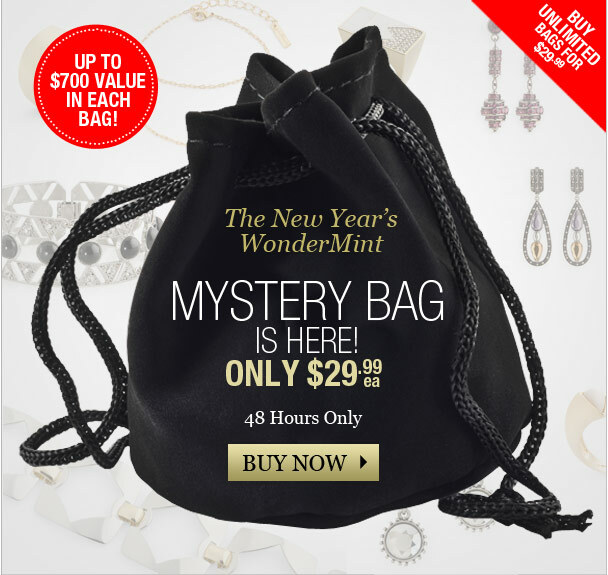 JewelMint "WonderMint" Bag - 48 Hours Only! It's that time again - the JewelMint mystery bag is back! This bag, called the"WonderMint Bag" is available on Monday (December 26) and Tuesday (December 27) only! Sign up and order today! WOW, you guys. Seriously....just W.O.W. --- During the whole entire phantasmagorical event that was The 12 Days of Gifts Galore...I was just soooooo sick. I had laryngitis (with a little bronchitis thrown in for good measure), fevers, aches, weakness - basically, the works, ya'll. Since I was sick, I did like *zero* promotion. I barely even looked at a computer during what I called my "Robbed of Turkey" time. (I got sick the day before Thanksgiving). Anyway, basically, the sum of my story is this --- you guys are ROCK STARS. Truly. I checked my Rafflecopter today to announce the winners and was just completely blown away by all the entries. So, from the bottom of my little heart, THANK YOU for sticking in there with me when I was less than able to do much of anything. That means a lot. All winners have been notified! Thank you all who entered. If you're interested in upcoming giveaways, please check the left sidebar to see all the great events that are coming soon! The 12 Days Of Christmas @ Sunbelt Snacks! I wanted to share some new information with you that you might find interesting. Cody Mohon, the Social Media/PR Coordinator for The Johnson Group (Sunbelt Snacks) asked me to spread the word about the Sunbelt Snacks 12 Days of Christmas giveaways & events. Each day from December 13–24, they'll offer a new prize or a money-saving BOGO coupon to their Facebook fans. Prizes include a Kindle Fire, a Garmin GPS, and a one-year's supply of free Sunbelt Snacks. We also want to help feed the less fortunate this holiday season so on two of the prize days, they will offer to donate an entire pallet of Sunbelt Snacks to the winner's local food bank. Today is a matching set day for the 12 Days of Dooney promotion! Buy a handbag, get a matching accessory free --- and even better, you can take up to 40% off the deal! There are bag/accessory sets for as low as $109 right now! That's an excellent deal! Remember that this deal is valid only on Monday, December 12th in stores and online @ dooney.com! Day 7 of the 12 Days of Dooney is the Holiday Grab Bag - take up to 50% off select Cork & Novelty Collections like the Wonder Duck, Shiny IT, Super Duck, Jumble Duck, DB Signature & more... There are some REALLY cute purses and accessories up for grabs! Some of my favorites include the Signature Lucy (on sale for $99 from $195), the Cork North/South Zipper Sac (now $119 from $228) and the Signature Coated Satchel (on sale for $119 from $228). There are purses, bags, satchels, checkbooks, wristlets & clutches on sale today! Get them while you can! Remember this deal is only valid for Sunday, December 11th in store and online @ dooney.com! 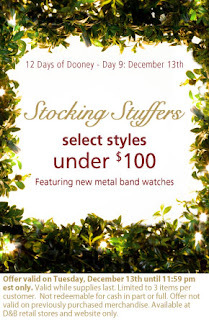 Day 5 of the 12 Days of Dooney is here! Today's deal is 'The Gift Of Green" - where all reusable totes are on sale for $10-$45! Today features the Tartan & the IT Collections, in a variety of sizes to choose from. Items for sale include cosmetic bags, lunch bags, medium shoppers, regular shoppers & the DB reusable tote. The savings are pretty good on these bags, so if you're into carrying the reusable shopping bags, this would be a great deal to snap up! These deals are only available on Friday, December 8th, in-store or online at Dooney.com. 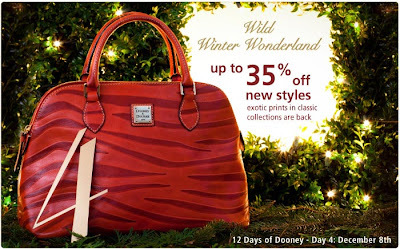 Today's 12 Days of Dooney deal is Wild Winter Wonderland! That means that the Giraffe, Nile, Zebra, & Leopard Collections are on sale at up to 35% off! Items on sale include purses, bags, wristlets, checkbooks, & satchels! Get them while you can! This deal is valid on December 8th only and can be purchased in store or at Dooney.com! 12 Days Of Gifts Galore Is Here! Welcome to 12 Days of Gifts Galore Giveaway Hop hosted by Tales From the Nursery, Formula Mom, and Mama on a Green Misson. There's over $5,000 in prizes offered to help you get the gifts you need this holiday season. After you are done entering my giveaways you'll want to check out everyone else's AND enter for a chance to win one of three GRAND prizes sponsored by Kudzoom! 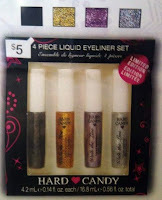 Each blog you stop and enter at will be another entry! The links to enter each giveaway are below. After you enter these great giveaways, you'll want to check out everyone else's AND enter for a chance to win one of three GRAND prizes sponsored by Kudzoom! There is already a link to the Kudzoom entry form in each Rafflecopter form below. Additionally, each blog you stop and enter at will be another entry! Please note that Fashion In The Forest, Tales From the Nursery, “12 Days of Gifts Galore” or the “12 Days of Gifts Galore” bloggers are not responsible for sponsors that do not fulfill their prizes. We have represented each sponsor with the expectation they will fulfill their prize and in a timely manner. We will contact the sponsor regarding your prize(s). The sponsors, in most cases, are shipping their items to you directly. We will make every effort to assist you obtaining your prize. If there is an issue with a sponsor, please notify the blog you won a prize from within 30 days for assistance, after that we may be unable to assist you. Today's 12 Days of Dooney deal is 50% off select red, green, blue & white bags. Today's deal is a great one - I actually bought two bags! I bought two Erica Bags - one in pink and one in green. I got a great deal - they were one $65 each! Style FW479 is the Erica Bag; a L 12.5" x W 7" x H 9" bag with one inside zip pocket, four inside pockets, a center zip divider pocket and cell phone pocket. 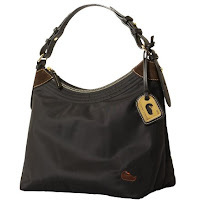 The bag features a zipper closure with an adjustable, detachable strap. The strap drop length is 10". Normally priced at $130, on sale TODAY ONLY for $65. Check out all the amazing deals featured today. Items like the Portofino Leather Collection, the 1975 DB Signature Collection, the Dillen Collection, the Plaid Collection, plus checkbooks, wallets & wristlets are all 50% off! 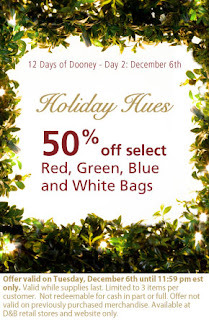 The 12 Days of Dooney – Day 2 – Holiday Hues, features 50% off select Red, Green, Blue and White Bags. Offer valid on Tuesday, December 6th until 11:59 pm est only. Valid while supplies last. Limited to 3 items per customer. Not redeemable for cash in part or full. Offer not valid on previously purchased merchandise. 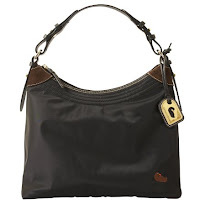 Available at Dooney & Bourke retail stores and website only.